The EUROPEAN ARCHITECTURAL PHOTOGRAPHY PRIZE is awarded every two years by Architekturbild, the German Architecture Museum in Frankfurt, and the German Foundation of Building Culture in Potsdam. Borders can be visible or invisible, inclusive or exclusive, they either protect or detect. They’re topical at the moment and not in a good way, so, looking for a more cheerful angle, I stayed close to home and photographed hedges in Gateshead. Hedges are borders to gardens and homes, they deliniate and guard and add greenery and character to the urban scene. 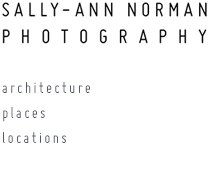 Sally is one of five photographers to be awarded a Distinction, the only UK photographer to receive an award. Keeping Gateshead in Europe yay ! The Berlin-based photographer Andreas Gehrke is the winner of the 2017 prize. His series of images entitled “Arrival” documents temporary refugee accommodation in Berlin. The finalists work is to be exhibited at the German Architecture Museum in Frankfurt, till 5 August 2017, with an Awards Ceremony on 5th May.